Do you know what day of the month it is? It’s Themed Furniture Day. 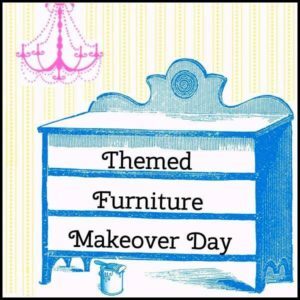 Themed Furniture Day is where a whole group of talented bloggers showcase a makeover based on a theme. This months theme is rustic. 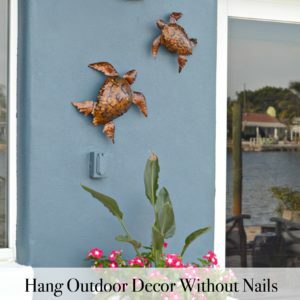 A rustic makeover seemed easy enough, until I started thinking about specifically what a rustic makeover was. I think several of us were challenged with defining “rustic” this month. 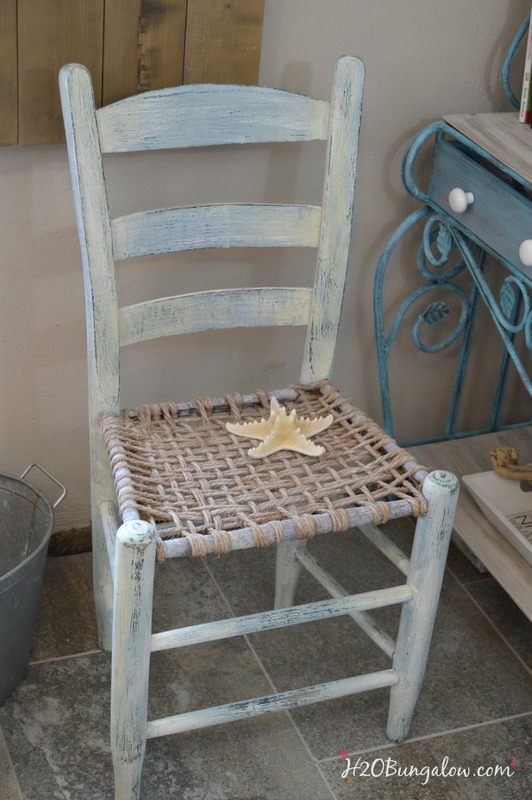 My rustic coastal chair makeover fit my idea of rustic and gave a special piece of furniture a new place in my home. I have thing for chairs and use them all over as accent pieces. The ones I love the most are vintage, and have special memories attached to them. My sister bought me this jute seated chair in Texas at First Monday in Canton. It’s had a special place in my home for almost 10 years and recently made it’s way into my office. It was just a bit dark for this room, and painted a very dark green and black. The color wasn’t working too well with my coastal turquoises and coral. I didn’t have a color plan in mind, I just started layering on some white, a little soft blue and a tad of the yellow I mixed for my desk makeover. 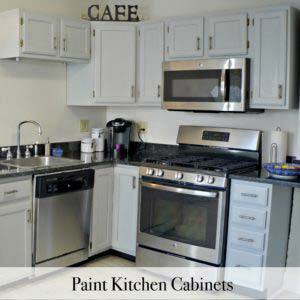 I tried a technique from the Annie Sloan’s Room Recipes For Style and Color she shared which was waxing before distressing and then putting on more paint and wax. I liked the effect. 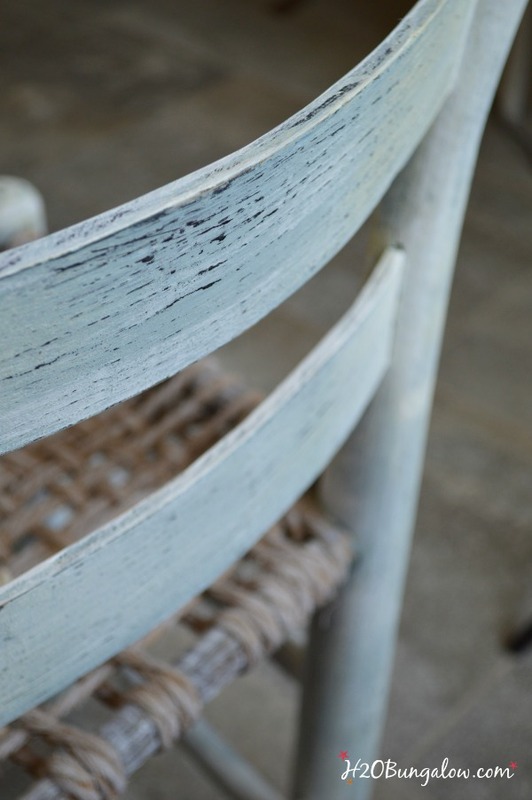 I think my rustic coastal chair makeover gave one of my favorite chairs a perfect amount of color and personality. It looks great in my office against my Old World Shutters and the Bakers Rack Makeover I use to hold a lot of my supplies. 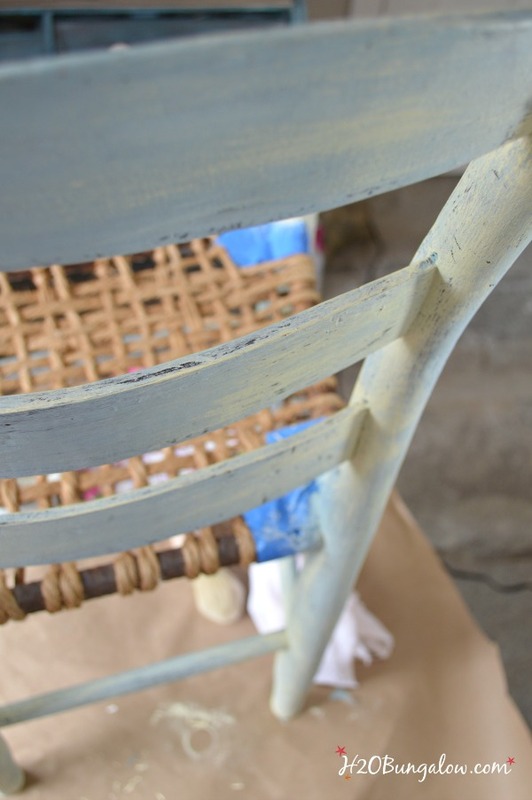 I always enjoy sharing my furniture projects and I hope you enjoyed todays rustic coastal chair makeover project. The best part of Themed Furniture Day is getting to share the rest of the projects from out group. Be sure to see them below. 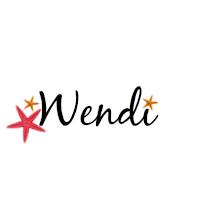 Just click on any picture below go to that blogger’s project. I love the rustic coastal charm of the chair. You did a beautiful job on it. This gives me an idea! I have an old vintage chair similar to this, except it has a piece of plywood for the seat. I bought it even though I wasn’t sure how to makeover the chair. I just thought that it was a neat looking chair, minus the plywood. Now I think I will remove it and see if I can find some heavy duty jute and make a woven seat. Thanks for sharing! Linda….What an awesome idea! 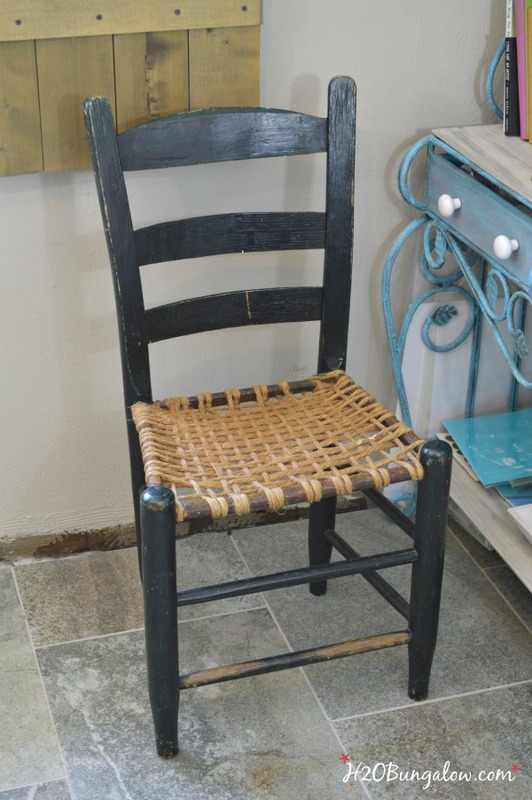 I’ve loved the jute look on this seat from the day I brought this chair home. Let me know if you need a close-up picture of how they did it. I’d be happy to send one to you. Have fun and please share your picture when you’re done! I think this chair looks perfect now! I love how the paint compliments the jute rope. I actually have two chairs similar to this without the seat that I wanted to add rope to. I’ve seen a tighter weave, but I really like the looser weave on yours. Quick question for you – when you did the paint, wax, distress, more paint, wax – did you do this order for each of the colors you layered on? I love the look, but have never tried that technique, and now I really want to give it a try! Hi Jenny. I just let the paint dry in between layers. The texture came from using a old chip brush and almost dry-brushing on the paint. I layered it thicker in some areas. In other areas, I put on the paint and wiped it off and left some in the crevices. I wanted to replicate layers built up over time. Have fun with your jute seats! Share a picture on my Facebook page! 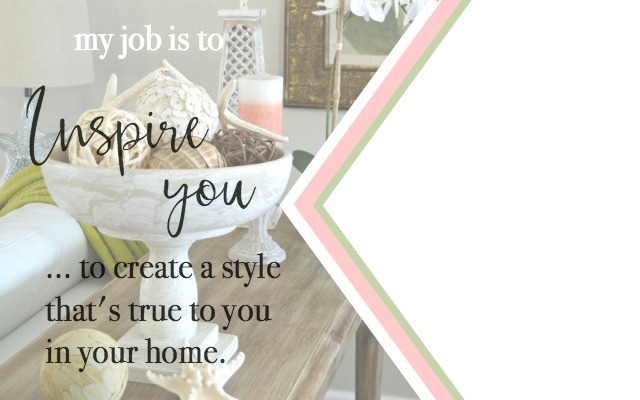 Great job…thanks for sharing with the Thursday Blog Hop! Thank you Pam:) I loved the chair, just not how dark it was. I love the chair make over, Wendi. The color is refreshing…just like the waters of the sea. You did a wonderful job on it. I’m here from Shabby Art Boutique. Hi Debbie! Thank you so much! I loved the chair because my sister gave it to me, and I’m very happy my makeover with lots of paint layer turned out well! 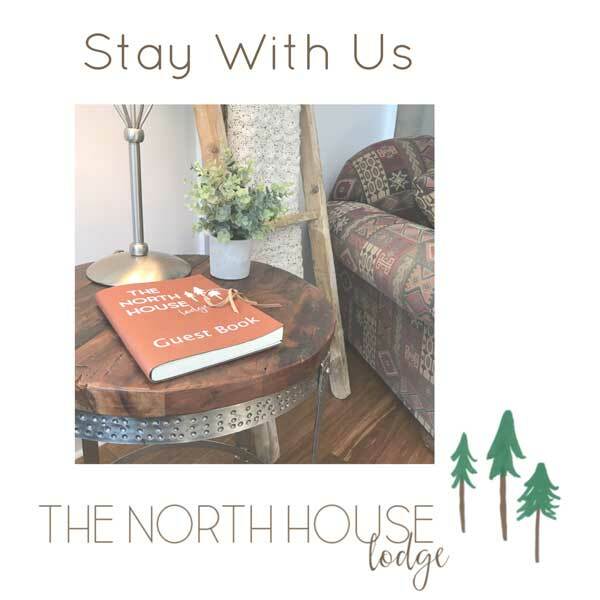 Thank you so much for your visit! 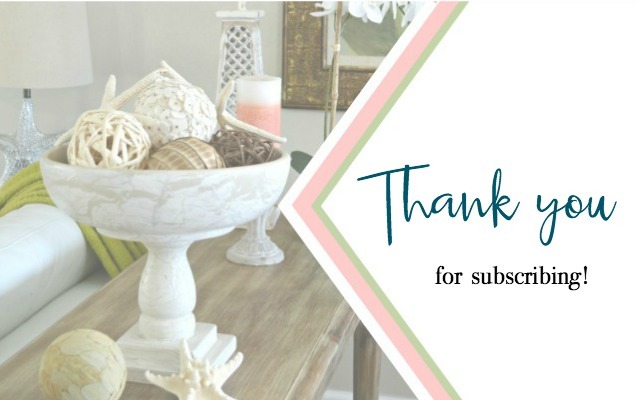 Thak you Alexis:) I loved this chair before, and I love it even more with a little beachy update:) Our weekend was lovely… I hope yours was as well! This came out so nice. I like that you added the paint to the jute seat as well. All the details an rustic charm of an old beach chair, for sure. Thanks so much. I agree. My old chair has a new look and kept the best part, the vintage appeal. 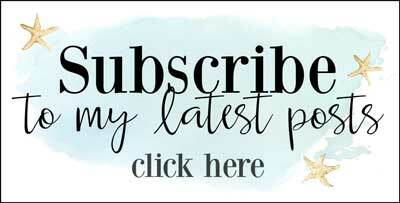 Ohhh no worries, how funny & welcome to the world of blogging, where typing as fast as you can, sitting on your laptop at crazy late hours and little things like not catching a typo before you push the “publish” button happen all the time! Have a great day & thanks for reading! 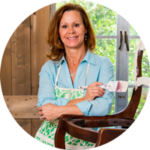 It really does look like a time worn chair – nice makeover Wendi – lov’n the colors too! Thanks so much Marie. You told me about this distressing technique also…a looon time ago! Love this update! It really brought it back to life and I love the distressing technique you used! I love how it looks in its new lighter colors! 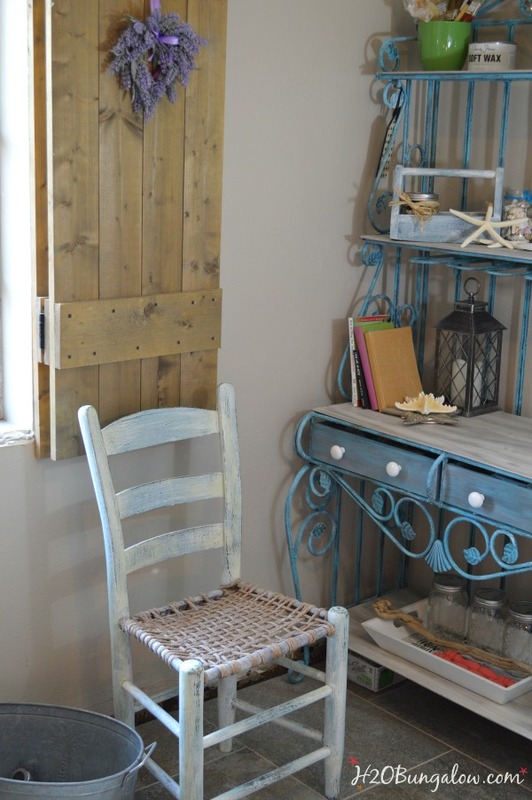 Its rustic, but still has a coastal vibe. Love the hand-woven seat too, very cool! 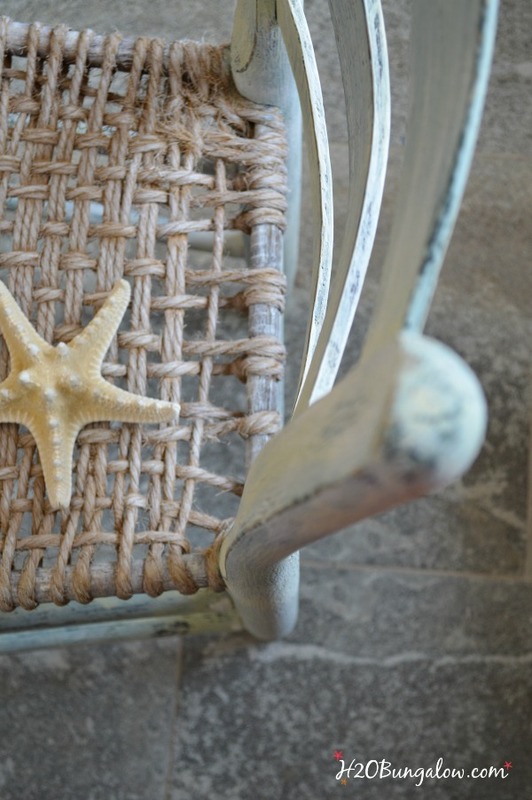 This chair looks like it has lived a long and happy life at the beach. I love the way you painted it to make it look old and worn. Love that sweet chair! The woven seat is amazing, and the new color really sets it off. LOVE your results Wendi! Love me some rusticness!! Great job creating a story with that chair, Wendi. I love it!